We consider a healthy diet must be balanced and varied as well as being satisfactorily adapted to the dining room and the school environment. Healthy eating is a process to be continued throughout our whole life, therefore, in order for both the physical and mental growth and development of our pupils to be attended correctly, we offer a diet which covers the specific nutritional needs of each age group and stage. The school has its own kitchen and menu which caters for individual dietary requirements. The menu is set by a nutritionist, adjusted to the pupils and their age and is sent home monthly. Our surrounding area offers fresh quality products which allow us to produce the healthy Mediterranean diet the area is known for. Therefore, foods frequently included in our menus are fruit, vegetables and fish as well as many others. Dining room habits are considered to be very important. 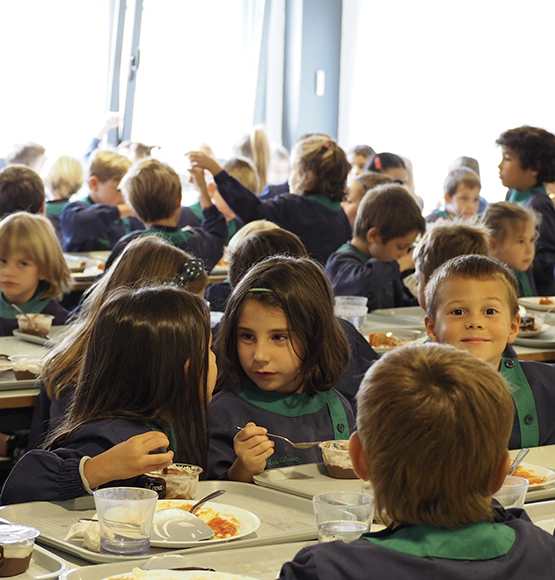 Our pupils eat in the school dining room along with their classmates and are supervised by their own teachers who teach them good table manners during this time. 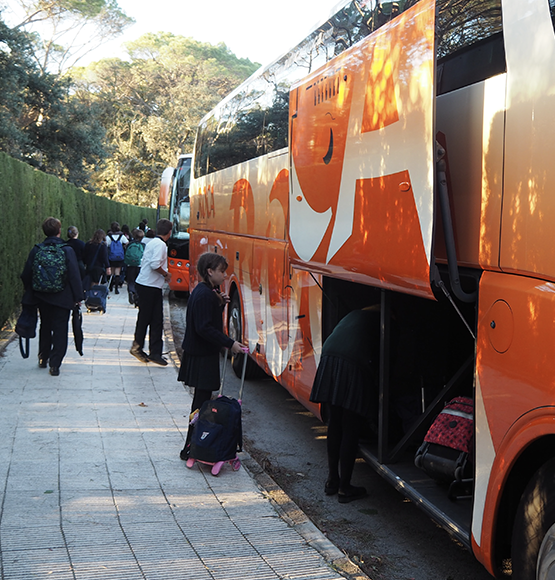 The location of the school serves pupils from the province of Girona, the city itself, from Vic and from the province of Barcelona. The buses always have a qualified monitor to look after the children throughout the journey. The school offers a before and after school service to look after children both in the morning before school begins and after school finishes.